So far the feedback I have received for this video has been pretty good, people seem to like it so I thought I would show you how I made my video so you can do the same. You need a fairly good camera but you don’t have to spend a fortune. I use a “Microsoft Life Cam Cinema” web cam which you can get for around £50/$50 (at the time of writing). It will take HD video’s, has a decent microphone built in, is easy to use and is generally quite a nice camera. 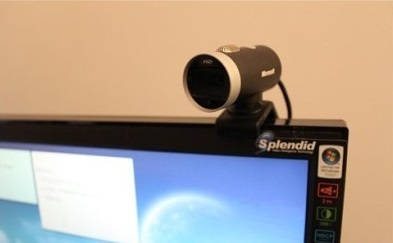 You could use a web cam, a normal digital camera, a digital video camera or a decent smart phone camera. As long as the quality is good and you can produce a video file that’s fine. I also have a Microsoft LifeChat stereo headset which has a better microphone for narrating over screen casts but I always think wearing a headset looks a bit odd in a video of someone speaking to you and that you can see. You could invest in a better desktop microphone (which I might do myself soon I think), the Blue Snowball seems to be popular for this, you can pick them up for around £60/$60 (at the time of writing). I used www.Fiverr.com to get my logo done and the 10 second credits video at the beginning of the video. I used this to make my slides but you can use any slide presentation tool. I used Office PowerPoint 2010 which you have to pay for but there are free alternatives you can use. This is a free video editor and for basic video editing it’s fine. It’s fairly easy to use. This is where I published my video once it was finished. You can put it on Vimeo or wherever you like but Youtube is still a great place to get your video ranked and viewed so you might want to put it there anyway. My web cam sits on top of my flat screen much like this, it’s quite small. Make sure the lighting is good enough. A dark, shadowy, grainy video is not going to show you in the best way. Script what you are going to say. You don’t have to repeat it parrot fashion but it’s a good guide. Make sure you are positioned well infront of the camera. Make sure there is nothing in the background that you don’t want people to see or that would give a bad impression. Make sure it’s quiet … unless you want some background noise that is. If your not used to making video’s then have a good look at your first few attempts and note any mannerisms that you want to cut out. Look at the camera because that’s looking at the people viewing your video, if you don’t look at the camera you can look a bit shifty. It doesn’t matter if it takes you many attempts to get it right. It took me about 10 attempts to make my video above. Don’t wait until it’s absolutely perfect, not for this type of video, the most important thing is your message and your sincerity. Depending on the video you are making you may be able to cut bits out or add them in so if you make a mistake you could leave a short gap to make it easy to edit and then repeat that section enabling you to carry on. I used the software that came with my camera but you can record straight from Windows Live Movie Maker or other video related utilities. If you have a logo already then you can use that. It’s best if you have it in PNG, GIF or any other format that can support not having a background (transparency) as this means you can place the logo over any colour background you like. 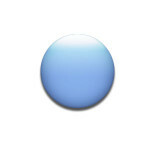 If you edit an image using an image editor like “Paint” or “Photoshop” you will see if it has transparency or not. 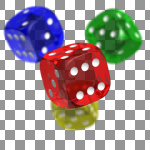 In these two images the dice on the left has a transparent background (that’s what the checkered background signifies) and the blue spot on the right has a white background. If you need to get one done then you can get one done for $5 at www.Fiverr.com logos. That’s where I got mine done. The guy I got it from was great, really fast and let me revise it until I was happy with it, in fact he specified unlimited revisions. It only cost me $5 which is incredible value for money. I got this from www.Fiverr.com intros, I searched for “intros” but it’s under the VIDEO & ANIMATION section anyway. It cost me $15 in total, $5 for the animation and $10 for the music to be added. I could have easily added music to it but I so liked the music that came with it by default that I was happy to pay the extra $10. Here it is on its own. Note that it has a grey/blue background showing transparency in this video player, normally you see it as a white background. It came in a 1280×720 HD size so pretty good resolution for it’s likely use, good enough for full screen use. I did this in Office PowerPoint 2010 but as in the ingredients section above you can use whatever you like to produce a slide show. The important bit is to be able to save or export your slide show as a video file. I could start by editing any of the video files because I can add in video segments easily but I will start with the one circled in red as this is the main video and needs the most changes. 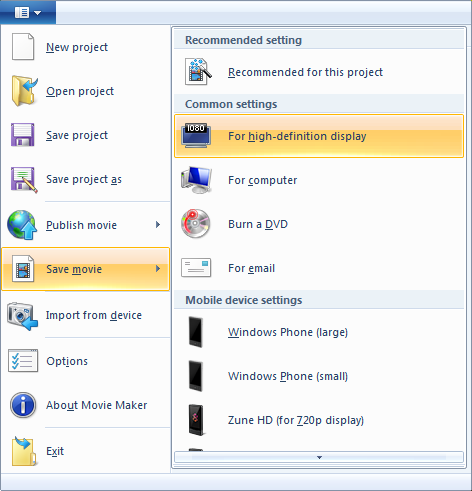 You can either start Windows Live Movie Maker and open your video file or right click the video file itself, choose “Open With” and then Windows Live Movie Maker. Next I edited my video to take off any silences at the beginning and the end. In this video I show how to remove sections from a video using Windows Live Movie Maker. This bit requires a little editing but it’s relatively simple to do. I think the best way is to show you so please see this video. Again I think it’s best to show you. I have already shown you some techniques about how to do this in the previous video but here we will go into more depth. By the way, it’s better to use royalty free music which you can find on the internet otherwise you may have to attribute the music to the published rights owner. Don’t worry about this; it means that when you upload a video with music in it to Youtube for example, Youtube will ask you to acknowledge the music if it finds publishing rights against it, see “How Content ID works” for more info“. When you are happy with your video it’s time to save it to a playable video file. Every now and then whilst you are editing you should save the project by using Ctrl^S or the “Save” menu option, the first time you do this you will need to give your project file a name. To save it as a playable video file click the file menu which in the version of Windows Live Movie Maker I’m using is the little icon at the top left. Then choose “Save movie” and usually I choose “For high-definition display” but you can choose the option you need. You can save it in several formats if you wish. You can load the video straight into Youtube or other platforms by choosing “Publish movie” from the file menu or you can upload it from the video file you created. You can place your video where you like but if you do want to load it onto Youtube don’t forget to Search Optimize it, I recommend this blog post for information on Youtube SEO – Effective Youtube Video SEO. Well, that’s how I made my video. I hope that’s useful to you and if you would like to know about my future posts you can sign up to my once a week list below if you want, if you are on this list you won’t get promotional emails unless I am personally recommending something and even then it will be a gentle promotion. You will get notified of my blog posts in my newsletter type broadcasts which I normally email out once or twice a week. This is an excellent guide to making videos more interesting and compelling. I appreciate your willingness to share a few of your techniques and resources! 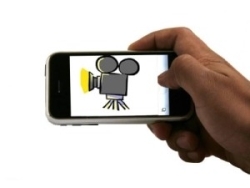 Anyone who takes action on the advice you have offered will be ahead of the game with video! Thanks James, your feedback is greatly appreciated.